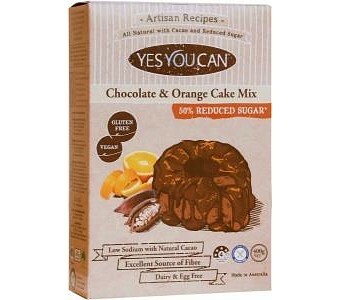 YesYouCan Chocolate & Orange Zest Cake Mix is a delicious and moorish treat. 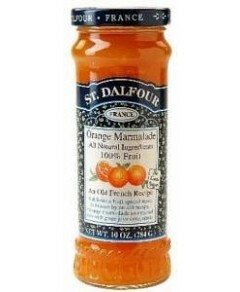 Now with 50% reduced sugar, it is even more guilt free! Low in sodium, dairy and Egg Free, it is a high source of fibre and great for that special occasion or morning or afternoon tea snack! Ingredients: Gluten Free Flours (Maize, Maize Starch, Rice, Tapioca Starch, Potato Starch), Brown Sugar, Polydextrose (Fibre), Natural Cacao Powder(5%), Vegetable Oil (RSPO IP Certified), Emulsifiers (475),Raising Agents (575, 501ii,450), Thickeners (Xantham Gum (415), Cellulose (464,466), Natural Orange Oil (0.18%), Natural Chocolate Flavour.